STRIVING is the look into the path of New York City artist told through dance. "Identity" is the second part of an eight part film series that is one aspect of the collective whole of the striving artist. Stay tuned for more! 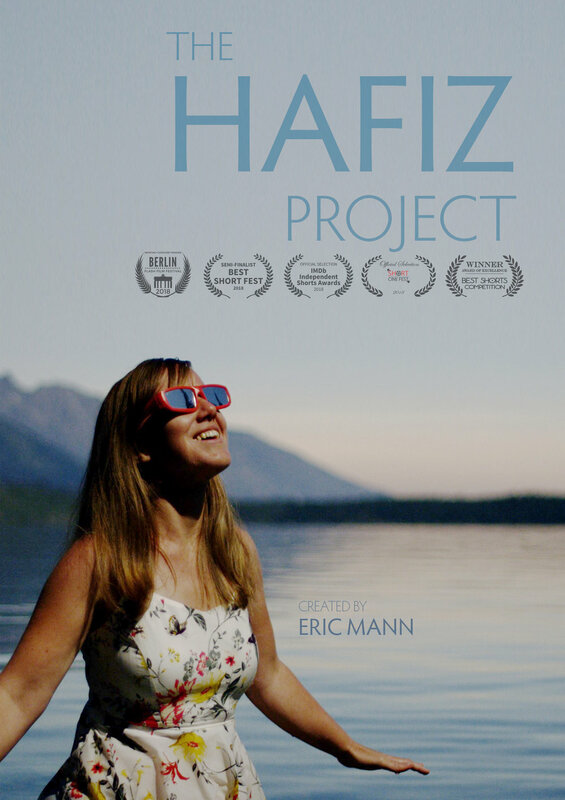 The Hafiz Project brings visuals to the beautiful, awe-some, and delightful poems of the Great Sufi Master Hafiz. Hafiz lived in the 1300's and his poems transcend time. These poems have captured the heart of many throughout the centuries. The Hafiz Project will collaborate with many different artists and storytellers to bring these amazing poems to life visually. From the team that brought you Alistair's Wednesday, a Valley 5 Productions and UNREEL Films collaboration, written and produced by Anna Megan Becker. Directed by Eric Mann. In the cutthroat world of fashion, a quirky "plus" must own her place and value as a working model, reshaping body language and the rigid unforgiving old fashion norms as a peer baffled by her presence challenges her worth within a market already crowded with too many bodies. A film about a girl who manifests an illness on one very eventful Wednesday. An Unreel Films & Valley5 Production. Directed by Eric Mann. Written by Anna Megan Becker. Produced by Anna Megan Becker, Charli Kirk, Jeanne Forster, & Eric Mann. Official selection at the New York City International Film Festival, Laguna Film Festival, Los Angeles CineFest, and The Open Door Short Film Showcase. See full credits at IMDb. "We really enjoyed this well made, heartfelt story. About a women coming undone, as her hypochondriac tendencies slowly begin to take over her mind. The central performance by Anna Megan Becker is subtle and well observed, elevating this story about one persons struggles to something relatable (and more importantly, genuine) to people from all walks of life. Directed with confidence by Eric Mann." "The creative minority have almost always made the world a better place." LOOKING UP is about taking in your surroundings to discover a world you might not have known was there. Looking Up is currently in development. Unreel Films gets to film AND eat!! What could be better! Check out Alyssa Gagarin's NEW Cooking Show, designed for healthy living! Ep. 6 - Swap It Out! Healthy Pantry Suggestions! Ep. 5 - Enchilada Sauce with Turkey Lettuce Cup Tacos! Alyssa is a certified trainer, fitness instructor, healthy chef, and cooking instructor. Check out and subscribe to her YouTube channel and Instagram.